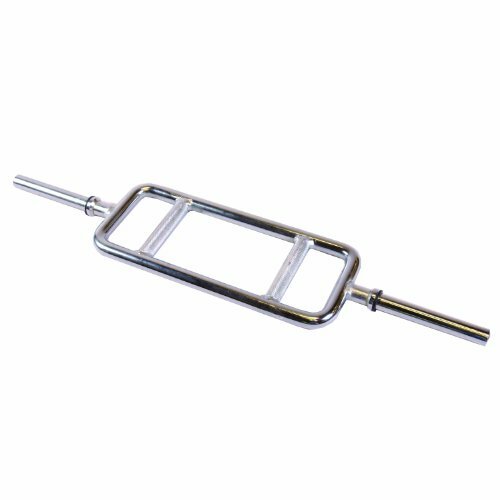 CAP Barbell's Standard Tricep Bar is manufactured from high quality steel with chrome finish and diamond knurled handgrips. This tricep bar is designed specifically for maximum concentration of the triceps muscle. Designed with smooth ends. Collars are not included. Accomodates 1" plates. 200 lb weight capacity. Made of solid chromed steel w/ smooth ends.